Hamilton seniors named scholarship winners - Hamilton School District. 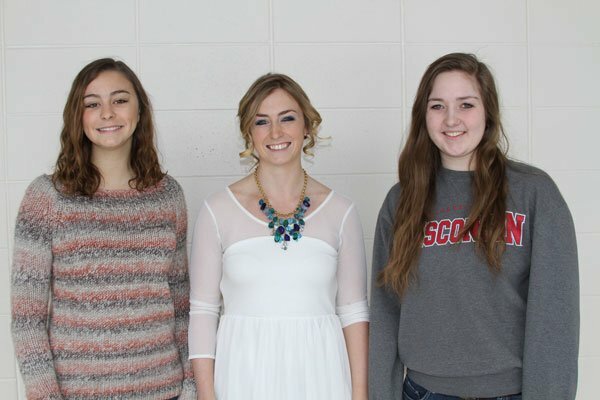 Hamilton High School seniors Madison Czerwinski, Danielle Draggoo and Taylor Wirsbinski are recipients of the Wisconsin Academic Excellence Scholarship. The four-year scholarship is worth $2,250 annually for tuition at a Wisconsin public or private college, university or technical college. The scholarships are administered through the Wisconsin Academic Educational Aids Board and funded through matching state and college contributions. They are given annually to recognize the state’s highest achieving students and to provide an incentive for them to continue their education in Wisconsin. Students are chosen based on cumulative grade point averages after the first semester of their senior year. In the event of a tie, ACT or SAT scores, the number of Advanced Placement (AP) courses taken, AP grade point average and involvement in curricular and co-curricular leadership activities are taken into consideration. Hamilton’s recipients will be recognized May 21 at the Senior Scholarship Ceremony in the Hamilton Fine Arts Center.